I'm working closely with the Cake and Bake Show this year promoting the shows and special events that will be taking place. 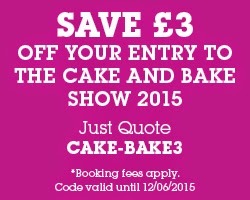 For the first time ever the Cake & Bake Show is introducing a bakes competition for enthusiastic homebakers. It can be anything from Eric Lanlard's profiteroles, Paul Hollywood's bloomer to Gregg Wallace's Sticky toffee pud or you can get creative and enter your own showstopper! There is no theme for this competition and the categories are adults (18 or over) or children. 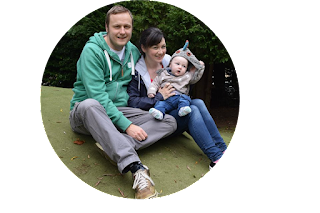 This category is based mainly on taste, flavour & texture but we want it to look great as well. Entrants will be judged by celebrity chef Gregg Wallace, master patissier Eric Lanlard and representatives from the Tiptree World Bread Awards. The junior category will be judged by Gurgle magazine. Entrants must send us their ideas by 1st June for the Harrogate Show or 18 August for London, Manchester or Edinburgh. So... what do you think? Sounds pretty ace doesn't it? I like the fact that it covers all aspects of baking, not just fancy sugarcraft. PS - the £3 ticket offer has been extended until Wednesday 12th June. Get yours before they sell out!